The poet Robert Frost described two roads that diverged in the woods. He contemplated which road that he should take. He was sorry that he couldn’t travel both, but he chose the road that less people had traveled and said that it had made all of the difference. In the Bible, we read of two similar roads (Matthew 7:13-14). One road has a wide gate, and one road has a narrow one. The wide gate leads to a road that is easy to travel but that ultimately leads to destruction. Many people choose to travel this road. The narrow gate leads to the road that less people have traveled. This other road is hard to walk, but it ultimately leads to life. Those who find and choose this road are few, but it makes all of the difference. At the beginning of this new year, I felt like I woke up from a dream and realized that I was traveling on the wrong road. I felt like a spell had been broken, a fog had been lifted, the wool had been removed from over my eyes. I realized that the choices that I was making, the direction that I was going, the deception that I had embraced were all leading me straight to that wide, big gate that just looked so good. You see, I had let my earthly dreams get in the way of my eternal ones. I was so focused on living out my selfish, American dream, where I was the main character, that I didn’t have the time and couldn’t even notice the destruction that was ahead. Whether I wanted to admit it or not, my life was all about myself, and I had let a lot of good things that didn’t really matter become the enemy of the best and only thing that really did. How would I answer when asked how I had hours to read my newsfeed every day but no time for my Bible (Psalm 119:105)? How would I answer when asked why I reached out to people about improving their physical health instead of their spiritual health (Matthew 28:19-20)? How would I answer when asked why I spent thousands of dollars on things I didn’t need instead of using that money to help others who desperately needed it (Matthew 19:21)? How would I answer when asked why I kept pursuing myself and the things of this world instead of dying to myself and seeking to lead a quiet life (1 Thessalonians 4:11)? Matthew 16:24 tells us that if anyone wishes to come after Jesus, that person must deny self, take up his or her cross, and follow Jesus, and yet we chase the pursuit of ourselves with every ounce of our beings—boasting about our accomplishments, striving for worldly honors and achievements, and creating multiple pages on social media that document just how awesome we are (#blessed #selfless). Verse 26 tells us that it’s possible to gain the whole world and yet still forfeit our souls, and yet we chase the whole world because we want to have it all, be it all, and do it all (while still going to heaven, of course). Matthew 19:24 tells us that it is easier for a camel to fit through the eye of a needle than for a rich person to enter heaven, and yet we chase wealth and prosperity like there is no tomorrow and justify it by saying that we would be willing to give it all up if necessary (but let’s hope that never happens). It was on this day that I stopped chasing my dreams and started chasing Jesus, because I realized that chasing Jesus is my dream. All of these other things are just shiny distractions that are trying to keep us on the road that everyone else is walking. Choosing this other road might mean that I become uncomfortable, unpopular, and unpolished—choosing to live a life that is not as easy, appealing, or attractive. 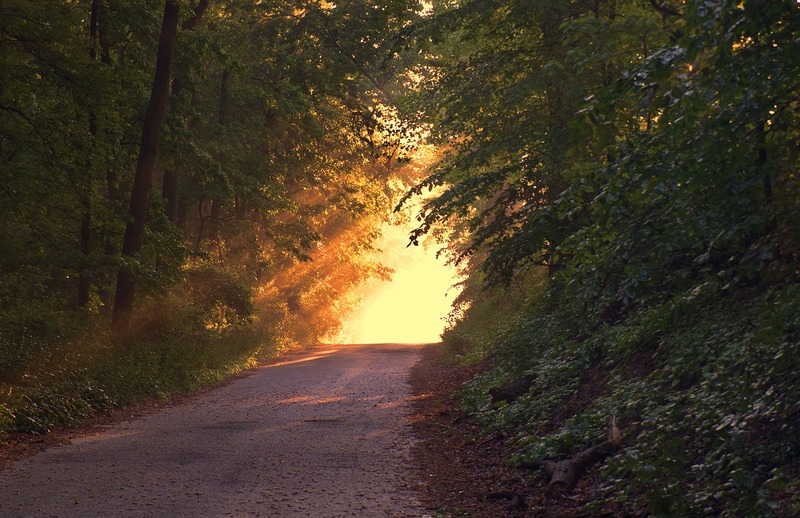 Choosing this other road might be painful, lonely, and extremely difficult, but I changed paths and directions and ran fiercely toward the road less traveled, the road that leads to life. And it has made all of the difference.